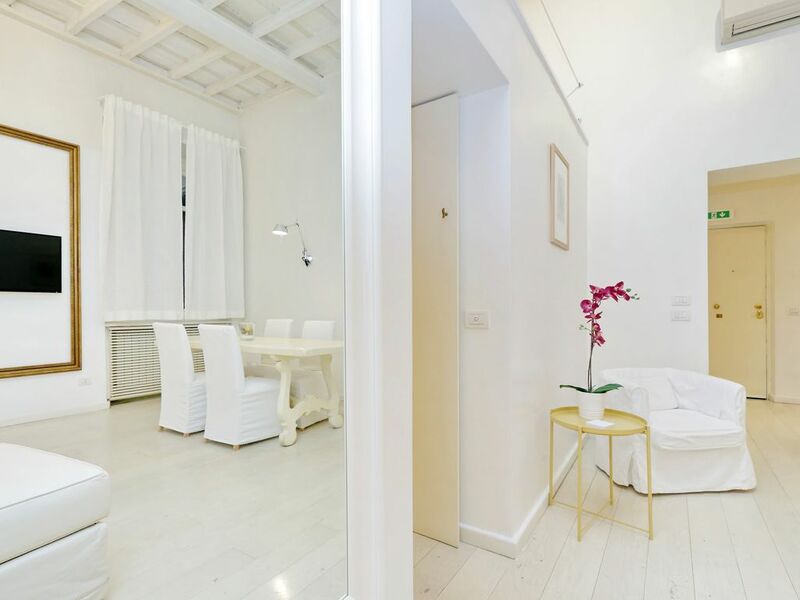 Apartment Spanish and beautiful new, bright, quiet, elegant and modern. It is located in the heart of the eternal city Rome surrounded by monuments, shopping streets and the beauties of Rome. Near you have shops, supermarkets, taxis, metro, bus. The building is historic and has an elevator, you get directly to the apartment do not need to make steps. Inside the house there are all the best comforts (kitchen-washing machine-dishwasher-ironing board and iron-hairdryer-bed linen and bathroom of primary quality-free wifi-nr 2 TVs). Beautiful white bathroom with bathtub equipped with all comforts, the bathroom is located in the master bedroom and is shared. Towels, courtesy line, hairdryer, heating. Thanks a lot, hope to see you next time. Best wishes you and your family. My family and had a wonderful experience staying at this apartment that was walking distance to nearly everything!!! Super clean and very spacious. Villa Borghese was 5 minutes away, Trevi Fountain and the Spanish Steps were 10 minutes away, the Colosseum and the Roman Forum were 20 minutes away. We also walked to the Parthenon, Campo de Fiori, and Piazza Navona. The air conditioning was delightful after walking all over Rome in June! Raffaella met us at check-in and explained how to get in and use all the appliances she also told us all the great attractions for kids on a map. There is a small washing machine and a drying rack. I would recommend this place to anyone.